Home › Blog › Adobe Central Pro is End-of-Life – What Now? If you are reading this article, you probably used Adobe Central Pro (formerly JetForm Central, Accelio) for your document generation and delivery requirements for many years. Since Adobe has officially sunset Adobe Central and doesn’t provide any longer updates or support, it is important to select a reliable replacement solution that will ensure the ability to create, deliver and manage important business documents that will meet the needs of your business today and in the future. However, for those of you who do not know and would like to get a quick overview of this legacy solution and the migration options – we’ve got you covered as well. 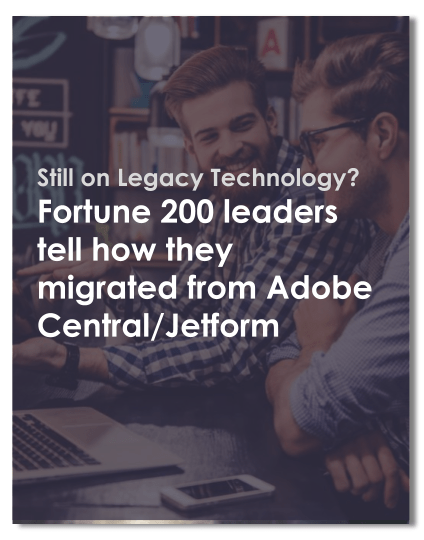 JetForm was founded in 1982 by a Canadian Software Manufacturer, later acquired by Adobe and renamed to Adobe Central Pro. JetForm was a “What you see is what you get” software that did not come with bells and whistles but allowed users to replace their paper forms with on-screen electronic form creation and completion. Since 1982, JetForm software had many successes with being ahead of its competitors like Delrina’s PerForm and FormFlow. In 1996, Symantec, sold their Electronic Forms Division to JetForm which included Delrina’s PerForm and FormFlow. In 2001, JerForm changed its name to Accelio, which was acquired by Adobe Systems in 2002. In 2004, the electronic form products where officially retired and JetForm was marked as Adobe Central Output Server. In 2007, Adobe released JetForm successor called Adobe LiveCycle Enterprise Suite which later in 2009 was renamed to Adobe Central / Central Pro Output Server. It can be challenging to look for the right document generation and delivery solution after learning your current solution is no longer going to be supported. After all, many of the solutions look the same and make similar promises – it’s hard to know what to believe. Besides, you can just take the migration path they are offering you, right? While that may be the easiest thing to do, is this the best choice for your business and end customers? You need to understand that not all solutions are equal. If your team isn’t satisfied with your current migration path or you want more from your solutions, you owe it to yourself to look at other market opportunities that not only help you meet your daily business needs but can scale with you for the future. We at Ecodocx can provide you an overview of your options. We provide document generation & delivery solutions that have been created by two of the original founders of Jetform Central – Tom Hicks, Wayne Hall and four of the core software developers of JetForm Central. Our solutions proved their reliability and accuracy on over 4,000 plus installations for many years. They can integrate tightly with many different ERP, CRM, WMS, PLM systems to help pre-fill documents, forms and labels using the data retrieved from your leading applications. Replacing Adobe Central has never been easier. We can prove it. We know that changes can be complex and scary. But many SMB and Fortune 200 companies already benefit from their migration. So why not let us show you how your company can benefit from a migration? We offer a FREE ‘Prove it Demo’ – a solution demonstration with your document templates that shows the ROI and business value you can expect. What have you got to lose? 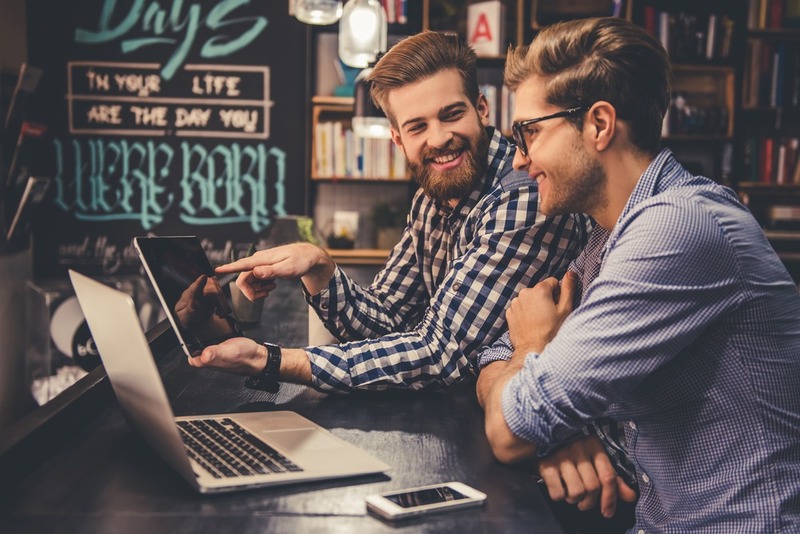 Besides the fact that Adobe Central Pro is no longer supported, our solutions provide many valuable advantages, which make day-to-day business considerably easier. Some of the key business benefits of migrating are: automated and transparent document template replacement; flexible integration without modification into your business systems; convenient and feature-rich document, label and form design; process speed and automation, omnichannel distribution, fast return on investments and many more. We are confident our solutions are the right document generation and delivery solutions for you and we want to prove it. All you have to do is give us an hour – meet with us and let us prove it. Set up a meeting now, what have you got to lose?